Approximate size 1" diameter and 1/4" thick made from the same reef sand as all of our other popular frag mounts. 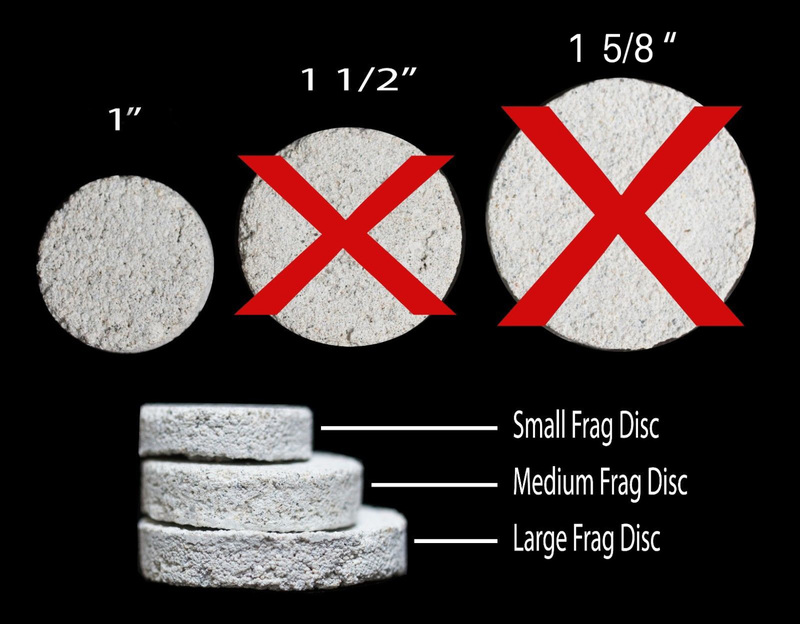 Approximate size 1 1/2"" diameter and 3/8" thick made from the same reef sand as all of our other popular frag mounts. Approximate size 1 1/2" diameter and 3/8" thick made from the same reef sand as all of our other popular frag mounts. 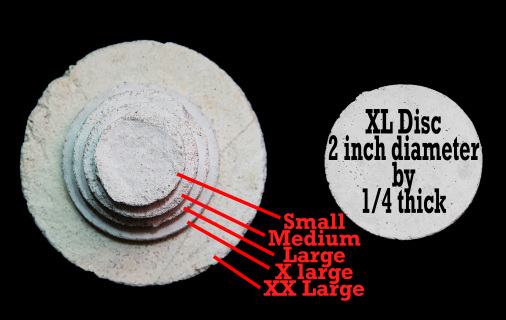 Approximate size 1 5/8" diameter and 1/4" thick made from the same reef sand as all of our other popular frag mounts. Approximate size 2" diameter and 1/4" thick made from the same reef sand as all of our other popular frag mounts.